In the spirit of halloween, a video featuring 7 ghost masquerades from Nigeria. Read more about them in chapter 3, The Ancestral Masquerade: A Paradigm of Benue Valley Art History, of the exhibition catalogue of Central Nigeria Unmasked: Arts of the Benue River Valley. This entry was posted in Research and tagged Idoma, Igala, Nupe on November 2, 2013 by admin. 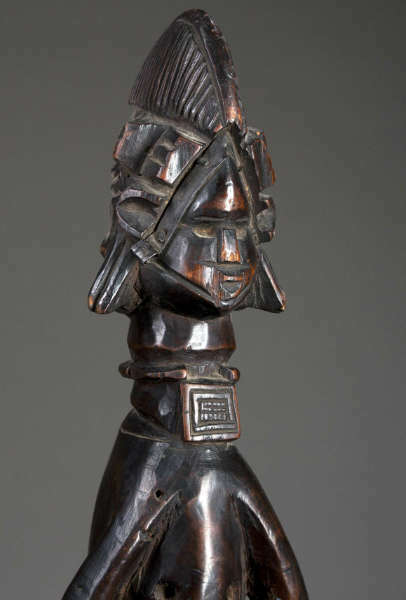 Under the direction of Scott Rodolitz this New Hampshire auction house recently had its first African art sale. You can download the catalogue here. 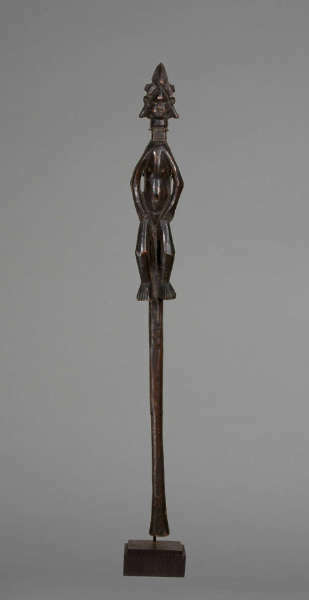 Of particular importance in this auction was a rare Mende staff with an early documented provenance. It was brought to Canada from Africa by Capt. J.L. Boddy and presented to E.D. Manchee in 1907 (as stated by his 1925 will). Only a handful of these staffs are currently known, most of them being much younger than this one. It sold for $ 10,800. UPDATE: Christie’s will be selling another early collected (ca. 1885) Mende staff next month. 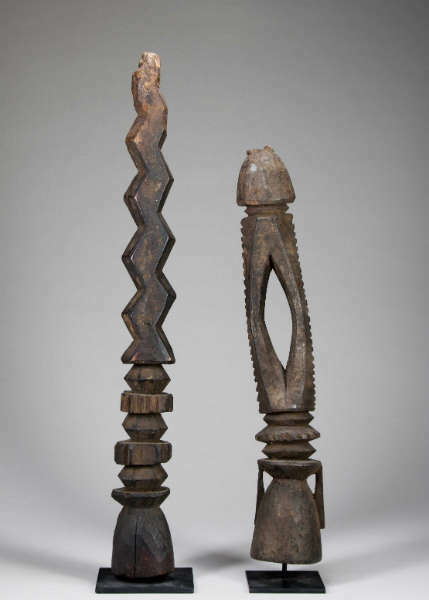 In the same auction two nice Nupe posts (mounted upside down) remained unsold with an estimate of $ 900- 1,200. This entry was posted in Auctions and tagged Mende, Nupe on May 17, 2013 by admin.